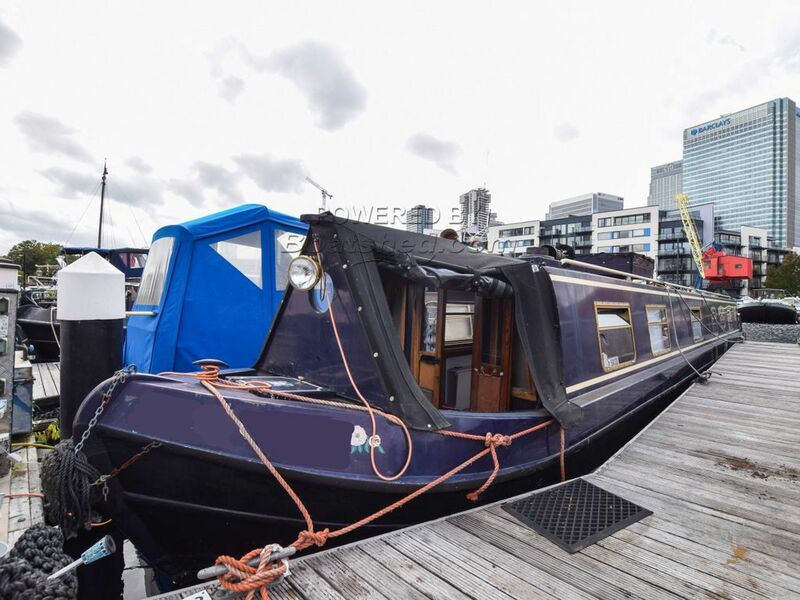 Boatshed London are delighted to offer this 55ft Narrowboat for sale with residential mooring at Poplar Dock, minutes from Canary Wharf. Built in 1994, this boat has been recently refurbished to make it a stylish and comfortable liveaboard for an individual or couple. It has also been recently surveyed and blacked in 2018. The boat is well laid out with plenty of storage in the cabin and a good sized bathroom. A multi fuel stove (plus electric heaters) provide the warmth in winter and the hot water is heated by the gas boiler and immersion heater. The residential mooring at Poplar Dock Marina is fully transferable. The marina charge a 5% transfer fee (of the sale price). Facilities at the marina include loos and shower block, a free laundry, BBQ communal area, parking (£600 a year) and good security with CCTV and locked gates. Current mooring fees are £10,373 p.a. paid upfront, £11,200 paid monthly. Council Tax is included along with water and use of the facilities. The mooring has excellent transport links with Blackwall DLR (5 mins) and Canary Wharf Jubilee Line (13 mins), there is great accessibility to central London. Now realistically priced for sale, viewing is highly recommended. This Narrowboat 55ft With London Mooring has been personally photographed and viewed by Angus Rose of Boatshed London. Click here for contact details.